On July 31st Noname released her debut project entitled Telefone which was 3 years in the making and highly anticipated by fans and media alike. Instantly the project gained critical acclaim with a rave review by Pitchfork and landing her praise from major outlets like Rolling Stones, Complex and Dazed & Confused. Noname has been hailed by The FADER, Complex, and Rolling Stone as one of the most exciting and important new artists of 2016. Thanks to Telefone’s success, Noname played some shows in support of Ms. Lauryn Hill, who hand-picked Noname to open for her on tour. 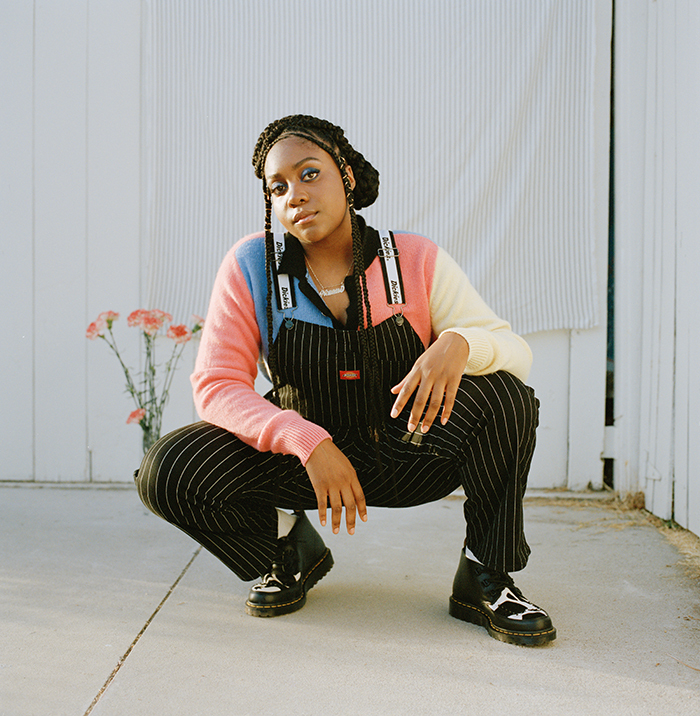 When first approaching the project, Noname set out to emulate the feeling of talking on the phone with someone for the first time. She describes Telefone as “an introductory conversation with someone you’re interested in”. But as Noname continued to work on the tape, it also transitioned a bit into mortality: the idea of life and death and the duality between those two things. Fatimah Nyeema Warner (born September 18, 1991), better known by her stage name Noname, is an American rapper and poet. Warner is from the Bronzeville neighborhood of Chicago, Illinois, where she began rapping and performing slam poetry in Chicago in 2010. In 2013, she gained wider recognition and critical acclaim following her appearance on the track "Lost" from Chance the Rapper's popular mixtape Acid Rap. Noname released her debut mixtape, Telefone, on July 31, 2016, to widespread critical acclaim. Noname grew up in the Bronzeville neighborhood of Chicago.